Flannels are your shirts warmer cousin, they are great for the fall season, and they can be worn in many ways, so here is a quick and simple guide to teach you how you can wear your flannel and look like a stylish mofo. 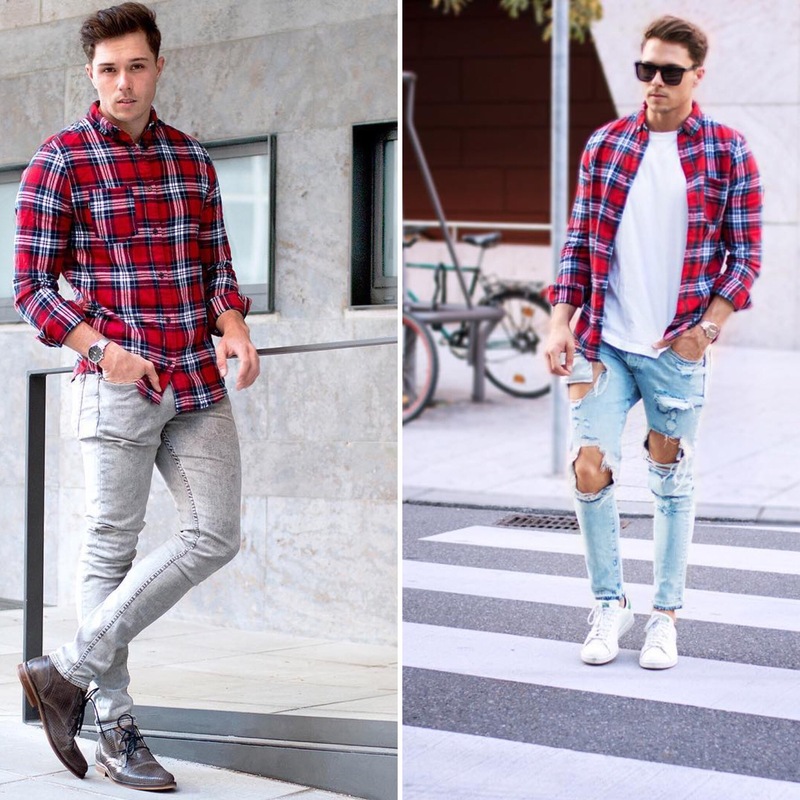 First of all as in all pieces of clothing fit is king, yes flannels tend to be a bit more loose, but that doesn’t mean you should be lost in it either, so just make sure it fits you as good as it can, not too tight, and not too loose, but also note that flannels tend to be a bit longer than shirts. So now to the styling part, I think flannels work best with jeans, that doesn’t mean you can not wear them with chinos or sweatpants, but because of the nature of the patterns on flannels, and their history, they tend to look their best with jeans, and since there is a lot of styles of jeans out there nowadays the possibilities are almost endless. Now for the flannel itself, you can wear it buttoned up for a more preppy nice look, or you can keep it open with a shirt or wife beater under it for a more casual look, and you can stick with plain white or black t-shirts under your flannel so they don’t contrast against the pattern on your flannel, or you can wear a t-shirt with a color similar to one of the colors on your flannel to compliment it, but try to avoid patterned t-shirts under your flannels so it doesn’t look like a mess. Plus flannels are meant to be casual, so try to keep it that way, do not tuck it in your pants, or wear it with a formal jacket, because sometimes it looks disoriented when you try to dress it up. Another blessing of our modern age is that you can find flannels almost in any shop, with different fits, prices, and patterns, so you can always try different flannels at different shops to find what suits you best, that is why you shouldn’t rush and take your time finding what you like the most. Previous Post Top 6 fall/winter essentials.